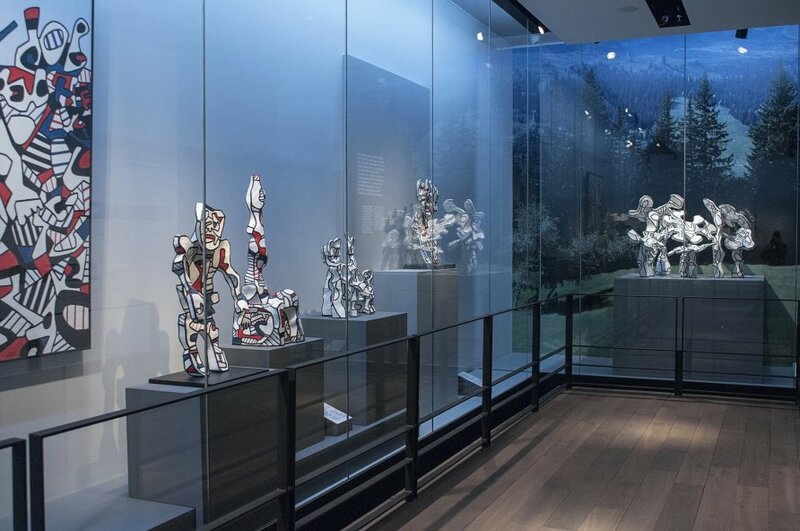 Created by the artist exactly 40 years ago, in 1973, Dubuffet Foundation presents its exceptional collections in Paris-Charles de Gaulle airport's museum space, from June 2013 to January 2014. This exhibition is a unique opportunity for passengers at Paris-Charles de Gaulle airport, to dive into the private world of a world-famous artist and great protester of the established order. It is placed under the sign of The Hourloupe, word coined by Jean Dubuffet which makes this series of works beyond any possibility of classification. The history of artwork by Jean Dubuffet is punctuated by multiple experiments grouped into different cycles, from which the longest and most original one is certainly the Hourloupe, dematerialized mental projection, "a dip into fantasy in a ghostly parallel world".